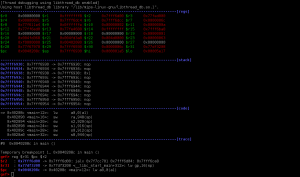 Browse: Home / gef – Multi-Architecture GDB Enhanced Features for Exploiters & Reverse-Engineers. GEF is aimed to be used mostly by exploiters and reverse-engineers. 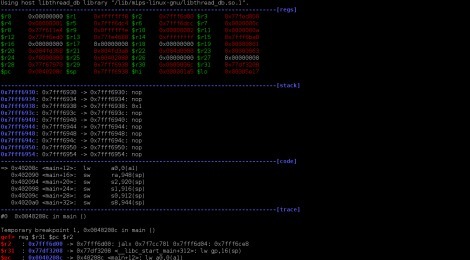 It provides additional features to GDB using the Python API to assist during the process of dynamic analysis or exploit development. 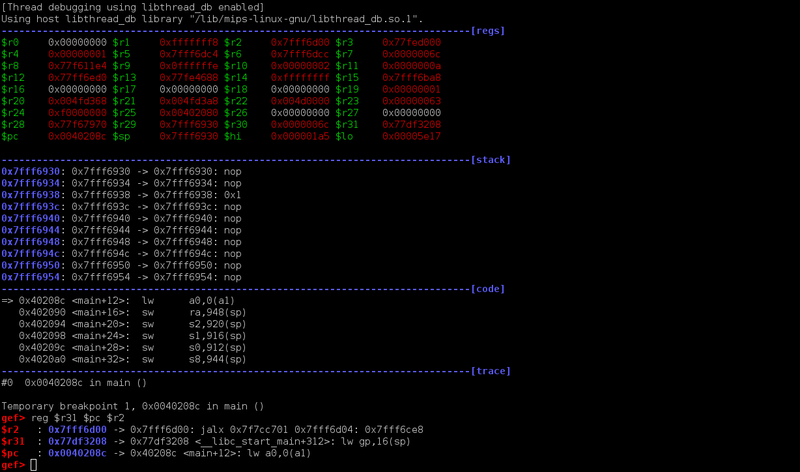 GEF fully relies on GDB API and other Linux specific source of information (such as /proc/pid). As a consequence, some of the features might not work on custom or harden systems such as GrSec. It has fully support for Python2 and Python3 indifferently (as more and more distro start pushing gdb compiled with Python3 support). ← Updates Poet v-0.4 – A simple POst-Exploitation Tool.